Finally I am happy to be here and to find you as a real girl who created this blog about dating online and post useful information about different websites and agencies. I was doubt but made a decision to write my post to you. 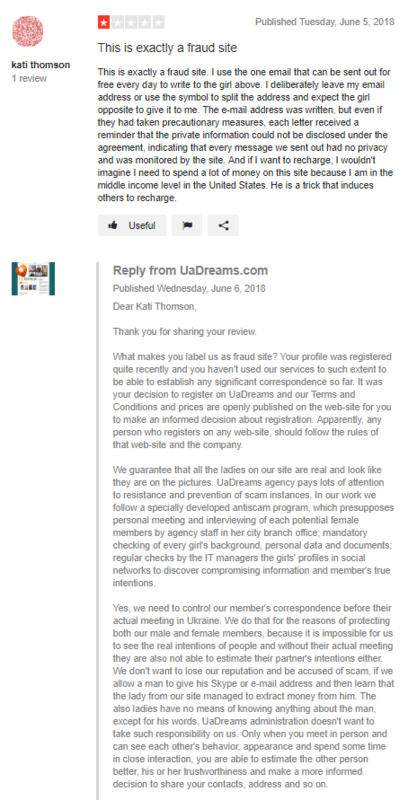 I will tell something important about UAdreams agency, I used their service in uadreams.com for one year and I liked one girl there. So that feeling made me stay for this year as a member and spend lots of money for purchasing communication with her. 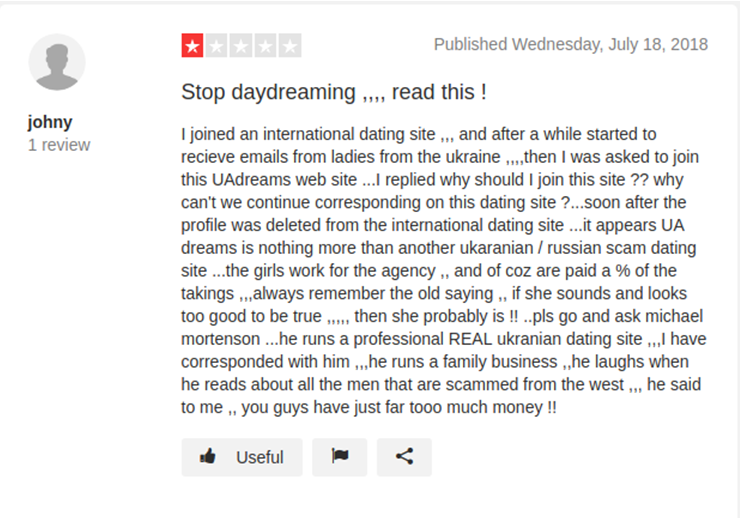 We met on brides ru, and she shared her email address on mail.ru but I tried to reach her there many times, she ignored me. 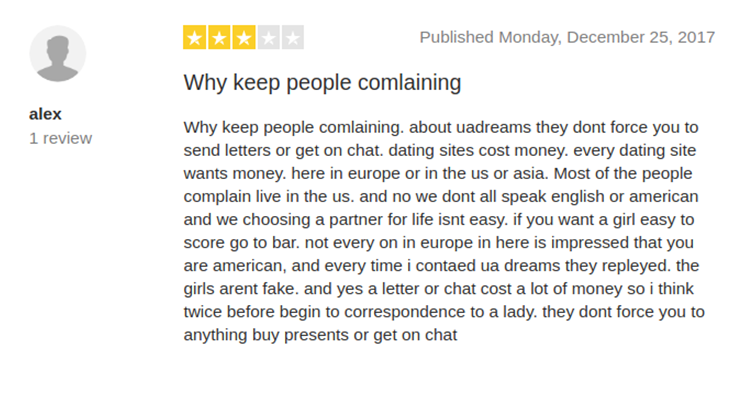 However, she was ready to get in touch with me on uadreams website. Was it suspicious? More than ever! 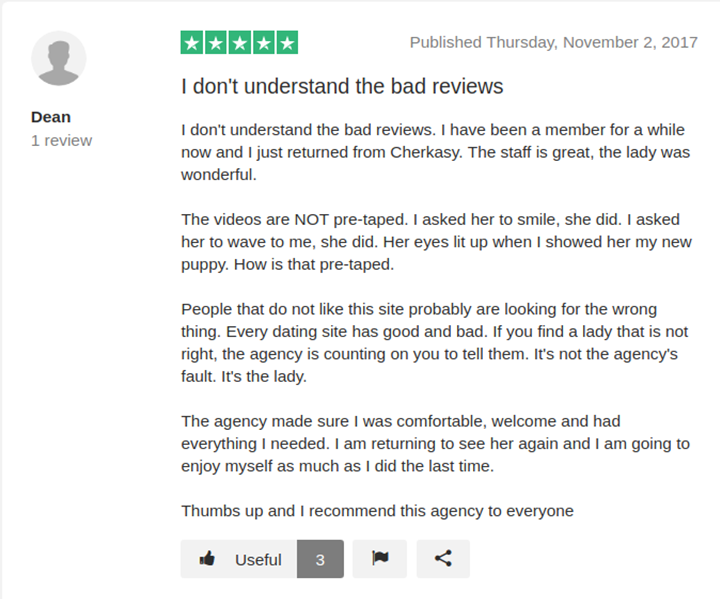 She was working for the agency, being obvious.I see that this is a scam, 100%, they act normally for their budget and number of girls registered. I hope my example will be helpful for those who are about to sign up this scamming website. every man on the planet should feel like me now, so I want to prevent him from suffering in future. You run through all expensive prices to find your other half, but although spending money you receive nothing in the end.